All four teams have gone undefeated in the championship round to earn their spot in the semifinals and climb one step closer to winning the Under-18 national title. Jacques and his Edmonton team of third Dustin Mikush, second Gabriel Dyck and lead Michael Henricks (coached by Bernie Panich) handed Northern Ontario’s Jacob Horgan his first loss of the competition on Friday morning in the first game of the championship round. 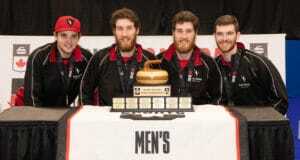 Horgan bounced back with a 4-2 win over Ontario to eliminate the Whitby Curling Club foursome skipped by Joshua Leung. 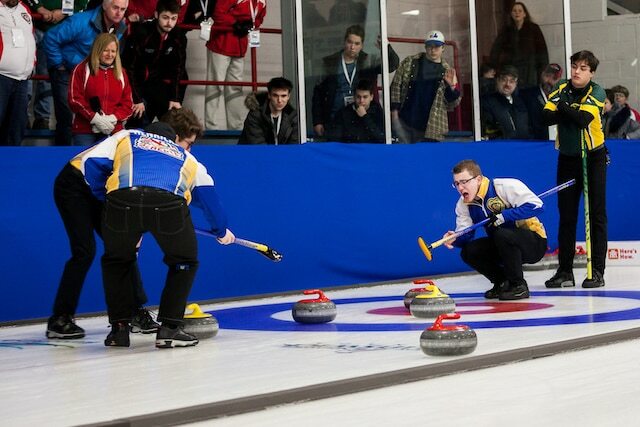 Nova Scotia’s Graeme Weagle – backed by Owen Purcell, Jeffrey Meagher, Scott Weagle and coach Anthony Purcell – has also booked a spot in the semifinals after two wins on Friday, the first an 8-2 victory over Quebec’s Jérôme Adam followed by a close 7-6 win over Manitoba’s Brett Walter during the championship round. 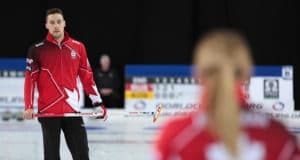 Walter will now face Horgan in one of the elimination games on Saturday morning, while Ryan McNeil Lamswood of Newfoundland and Labrador will face home-province favourite, Liam Marin of St. John, N.B., in the other elimination game to see who will join Alberta and Nova Scotia in the semifinals. On the Girls’ side, Ontario’s Madelyn Warriner and her Listowel Curling Club team of Sarah Bailey, Brianne Donegan, Shannon Warriner and coach Bruce Cox are through to Saturday’s semifinals, along with Saskatchewan’s Skylar Ackerman and her team of Madison Johnson, Chantel Hoag, Samantha McLaren and coach Patrick Ackerman of the Moose Jaw Ford Curling Centre. Four teams will face off in the Girls’ elimination games on Saturday morning. 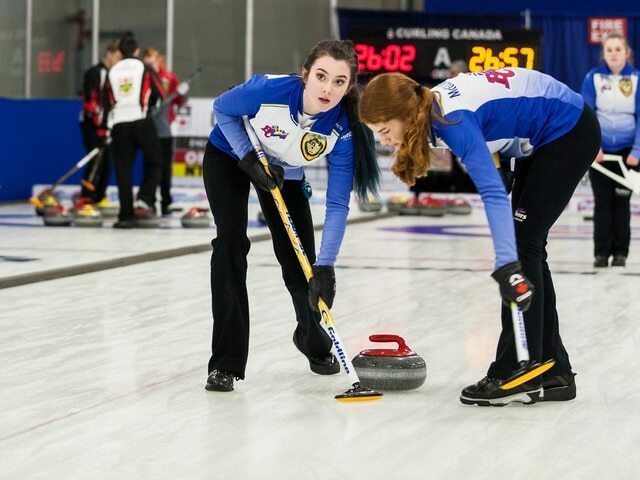 In one match-up, Nova Scotia’s Isabelle Ladouceur will face B.C.’s Jaelyn Cotter, while in the other, Alberta’s Ryleigh Bakker will take on New Brunswick’s Erica Cluff, the home-province favourite from the Woodstock Golf & Curling Club. 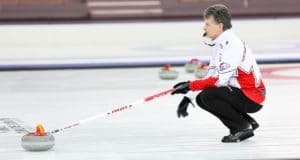 The teams that didn’t qualify for the championship round were also on the ice today, with players mixed up and paired off to play mixed doubles. The four elimination games will take place at 9 a.m. ADT, with semifinals at 1:30 p.m ADT and medal games at 6 p.m. ADT.